Veneers have become an essential part of cosmetic dentistry. Resembling the shape and characteristics of natural teeth, this kind of treatment doesn’t only enhance the colour of your teeth, but your confidence in smiling, as well. Since they are extremely thin and attach over the tooth’s front surface, veneers really make your teeth look natural and healthy.There are two types of veneers available; one of these is called a composite resin veneer. There are discussions whether or not to opt for composite resin veneers. If you were looking for the next best thing to porcelain veneers, then composite resin veneers would be the perfect alternative. Resin is a filling material that looks like the colour of your teeth, but can be made brighter to help in concealing stains. Once bonded to your teeth, they can resize, reshape and re-colour teeth. It is important to note that this procedure needs the permanent elimination of enamel’s outer layer; thus the procedure is irreversible. Getting composite resin veneers is a great way to boost your confidence and uphold the good condition of your teeth. 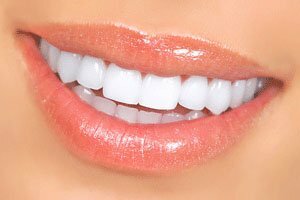 If you are looking for a great work in composite resin veneers, look no further but to your most trusted Brisbane dentist.